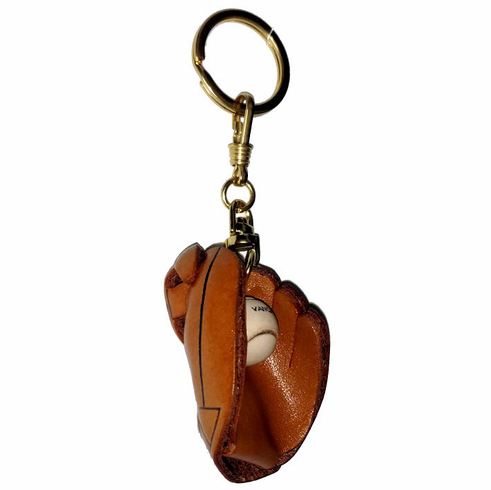 These gold-tone key chains feature a baseball inside a glove, all made from genuine leather. Individually handcrafted. Everything Baseball also offers genuine leather batting helmet key rings.